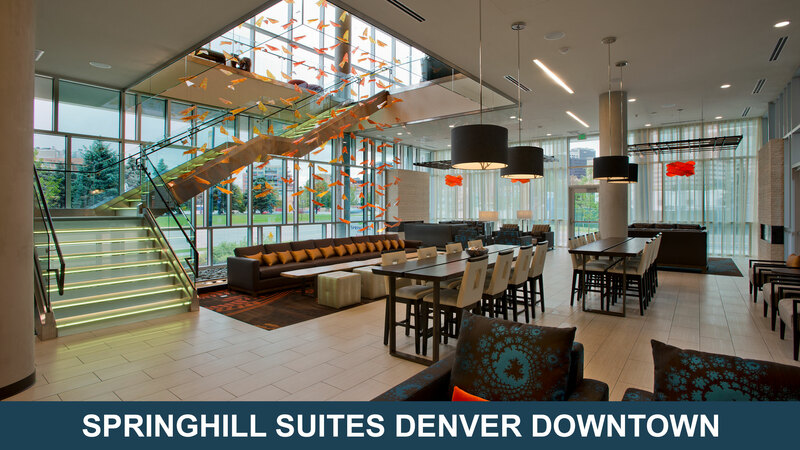 Enjoy the suite life at the SpringHill Suites Denver Downtown with our contemporary, over-sized suites and central location directly across the street from the Pepsi Center. As the official hotel partner of the Pepsi Center, our location is within walking distance to a variety of events, delicious dining options, and entertainment for every kind of stay. When you’re not cheering at the game or singing along to your favorite artist, enjoy our complimentary WiFi and daily hot breakfast buffet. Up to a 15% discount!